12,965-foot Mount Sopris lies southwest of Bill Fales’ Cold Mountain Ranch. Under the terms of the conservation easement that Fales sold to protect his property from development, the water rights must remain with the land. Bill Fales stands on his ranch overlooking the Crystal River south of Carbondale. His property is one of the last true operating ranches in Pitkin County. One of three irrigation ditches that delivers water from the Crystal River to Bill Fales’ Cold Mountain Ranch. Fales owns some of the most senior water rights on the river, which he hoped he could use to help improve the river’s flow during dry periods. 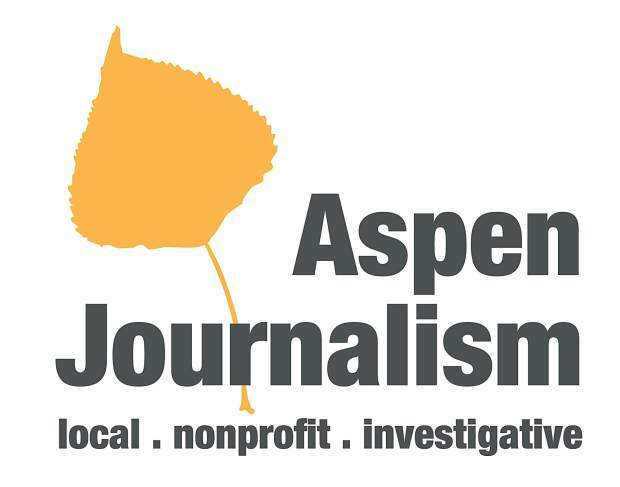 Editor’s note: Aspen Journalism is covering rivers and water in collaboration with the Glenwood Springs Post Independent, The Aspen Times, the Vail Daily and the Summit Daily News. Learn more at http://www.aspenjournalism.org. The soft spoken, unassuming 64-year-old grows alfalfa on his 600-acre ranch south of Carbondale. 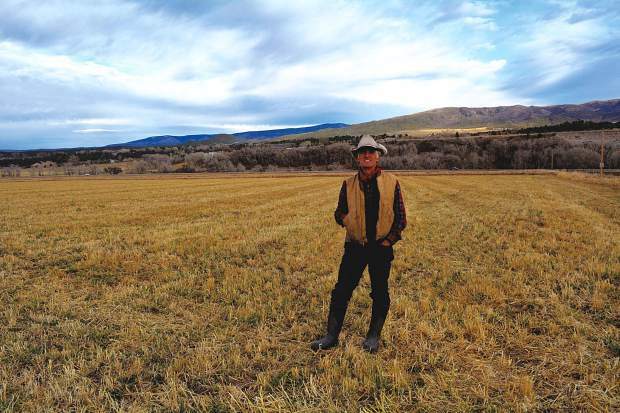 For 45 years, Fales has irrigated the fields of Cold Mountain Ranch with water from the Crystal River, which flows 35 miles from its headwaters in the Elk Mountains to the Roaring Fork River. In spring 2016, the Colorado Water Trust, a Denver-based nonprofit devoted to improving river health, announced a new water conservation initiative to ranchers in the Crystal River Valley. Fales was eager to jump on board. It sounded simple enough: The water trust would compensate any ranchers willing to leave some of their irrigation water in the Crystal River to boost flows during dry times. In 2013, Colorado had passed a law protecting water rights registered in conservation programs, and Fales assumed his interest would be met with approval. 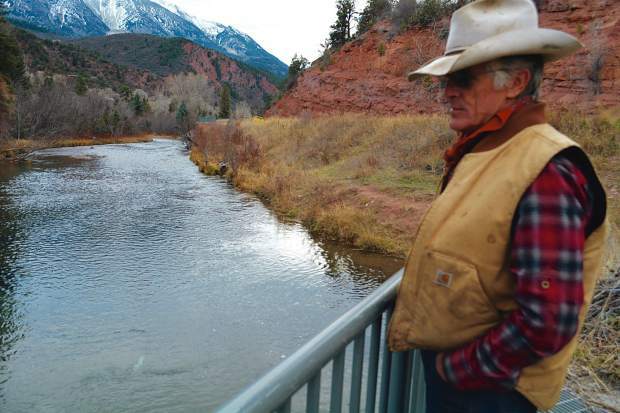 Instead, the rancher found himself embroiled in a bewildering disagreement with Pitkin County officials who insisted that Fales’ willingness to forgo some of his water when the river needed a boost would put his water rights at risk. Why, Fales wondered, was it so hard to do something he thought was good? Cold Mountain Ranch is one of the few remaining working ranches in Pitkin County, and Fales had always felt protective of the land’s open space and agricultural value. 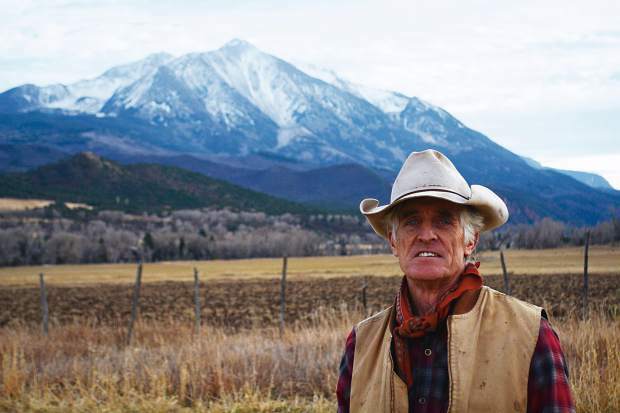 To protect his property from development, he sold a conservation easement on the entire ranch in 2009 to Pitkin County and the Colorado Cattlemen’s Agricultural Land Trust. Under the terms of the easement, the water rights that came with the ranch could not be sold separately from the land. When it came to water conservation initiatives, however, the West’s system of private water rights often clashed with environmental priorities. That was true of the Crystal Valley, as well. When the Colorado Water Trust first put out the call to local farmers and ranchers in 2012 — a dry year — asking if they would be willing to lease some of their water for the river’s benefit, most of them, including Fales, were wary of the bureaucracy involved in the arrangement. “It took away your whole ability to make decisions — they’d come and shut off your headgate at one of two predetermined dates,” he said. Still, Fales knew that ranchers and farmers — and their senior water rights — had an important role to play in helping the Crystal, especially during times of drought. The Colorado Water Conservation Board has an environmental instream flow right on the Crystal for 100 cubic feet per second. The water right dates from 1975, far lower in priority than the major agricultural water rights on the Crystal — and thus of little to no benefit. During drier years, the river regularly drops well below 100 cfs. Since most ranchers in the Crystal River Valley were uninterested in a formal water-leasing arrangement offered by the state, the water trust devised another more flexible option, requiring no filings in water court. The arrangement allowed irrigators to let water flow past their headgates to benefit the Crystal’s flows during dry periods. When the water trust advertised the program to ranchers in the Crystal Valley in the spring of 2016, Fales was the first to volunteer. They settled on a target flow of 40 cfs, which the recently completed Stream Management Plan showed was an important indicator for river health and also a realistic goal for ranchers. Fales planned to use his water right on the Helms Ditch, which is for 6 cfs and dates to 1899. If the river fell below 40 cfs, then Fales would decide if he could turn off the headgate for a short period of time, and in exchange, the water trust would pay him $175 per cfs of water left in the river per day. Fales wasn’t sure how much water he could leave in the river, as it depends on what time of year and his irrigation demands. But he hoped that after a week or two, other irrigators might step up and turn down their headgates, too, so that collectively they could help the river without causing undue burden on any one rancher. 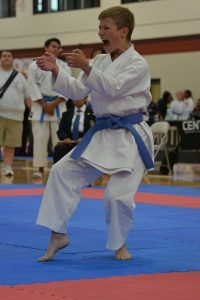 For Fales, volunteering for the program felt important in another way, as well. In fall 2016, Fales presented his proposal to reduce his water for the purpose of boosting flows in the Crystal River to the Colorado Cattlemen’s Agricultural Land Trust and Pitkin County officials. The land trust offered a few amendments but was otherwise on board. Pitkin County, however, was less enthusiastic. Unbeknownst to Fales, the county had become increasingly protective of agricultural water rights on properties with conservation easements — especially the county attorney, John Ely, the architect of Pitkin County water policy. 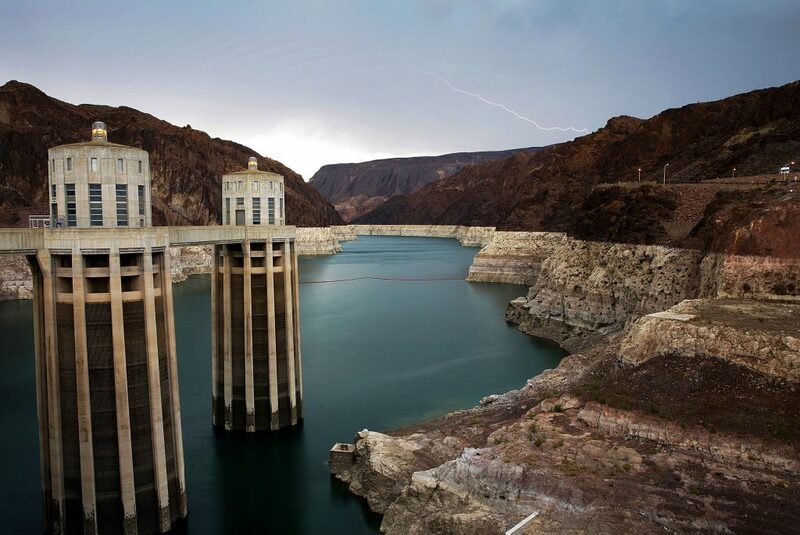 He saw all sorts of interests pulling at the Western Slope’s water, from climate change to dramatic growth along the Front Range to Colorado’s legal obligations to deliver a certain amount of water from the Colorado River to other states such as Arizona and California. There was also Colorado’s own water laws, which encourage water to be used — anywhere. 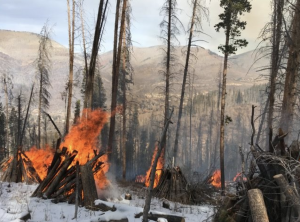 Already, water from Pitkin and Garfield counties’ Roaring Fork River was being diverted hundreds of miles across the mountains to Aurora and Colorado Springs. 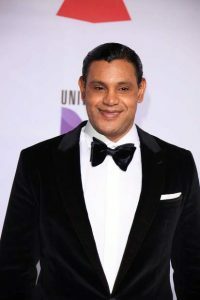 “We clearly recognize that if water rights disappear from here then our land has a real possibility of drying up and the water will be used somewhere else,” Ely said. For Ely, senior agricultural water rights protected much of the county’s water from getting diverted over the Continental Divide. The flip side, of course, is that the agricultural diversions are drying up sections of these rivers. Still, when it came to water rights, Ely did not want to take any risks — even small ones. 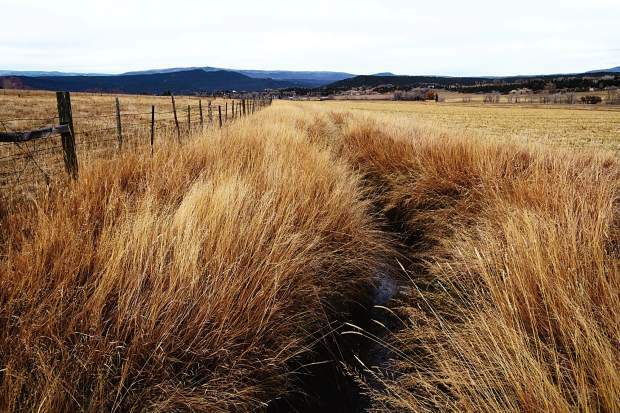 Although the conservation easement on the Cold Mountain Ranch allows the owner to temporarily reduce his or her water for the purpose of maintaining or improving streamflows, Fales’ proposal with the water trust was too informal for Ely’s taste. Under state water law, only the Colorado Water Conservation Board has the authority to keep water destined for the environment in the river, but Fales and the water trust had bypassed the state in crafting their agreement. Ely feared that another water user would claim the water Fales left in the Crystal. And he worried, too, that if Fales kept producing the same amount of alfalfa with less water, his water rights could one day be diminished in water court under the “use it or lose it” principle. This was especially concerning to Ely because the county had paid $7.5 million for the conservation easement on Cold Mountain Ranch. In response to Ely’s concerns, Fales and Zach Smith, the water trust lawyer who put together the Cold Mountain Ranch proposal, solicited the input of various environmental organizations and water policy experts to find out if the water Fales left in the Crystal would help the river and, crucially, if Fales was imperiling the Cold Mountain Ranch water rights that Pitkin County had invested in. Smith and Fales received responses from Trout Unlimited, the Aspen Valley Land Trust and the Colorado Division of Water Resources. All of those contacted were in favor of the proposal and saw no problem with regard to Fales’ water rights. “I believe the application is a simple, good first step toward balancing agricultural and ecological river needs in the Crystal River Valley desired by the water trust and Bill Fales,” Allan Martellaro, the Division 5 engineer at the Colorado Division of Water Resources, wrote in an email. 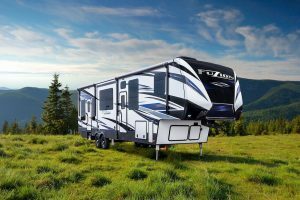 Meanwhile, Fales, Smith and Pitkin County officials began meeting to try to resolve their disagreements over the proposal. John Currier, the chief engineer at the Colorado River District, attended one of the meetings. “I don’t think it’s risky at all from a water rights protection perspective,” Currier later said. He conceded, however, that someone could, in the future, argue that Fales had been wasting his water if he continued to grow the same amount of alfalfa with less water. The risk, he said, was remote. The whole ordeal has left Fales feeling frustrated and confused. “We’re supposed to be one of the most environmentally minded counties, so to say to farmers that they should maximize their diversions is really bizarre,” he said. Fales, the Colorado Water Trust and Pitkin County officials continued to meet in the hopes of resolving their differences about the Cold Mountain Ranch proposal. After all, they wanted the same thing: more water in the river. Although they’re still sorting out the details, Fales, Ely and the water trust are optimistic the new arrangement will satisfy both parties: Instead of reducing his water use, the water trust will pay Fales to coordinate the timing of his irrigation diversions with the river’s needs so that he turns down his headgate when the Crystal is running low and back on again when the river is flowing well. Dale Will believes a successful agreement could ripple throughout the area. Will is acquisition and special projects director at the Pitkin County Open Space and Trails program and the program’s former director.